Once again I find myself excited about a tonneau cover. 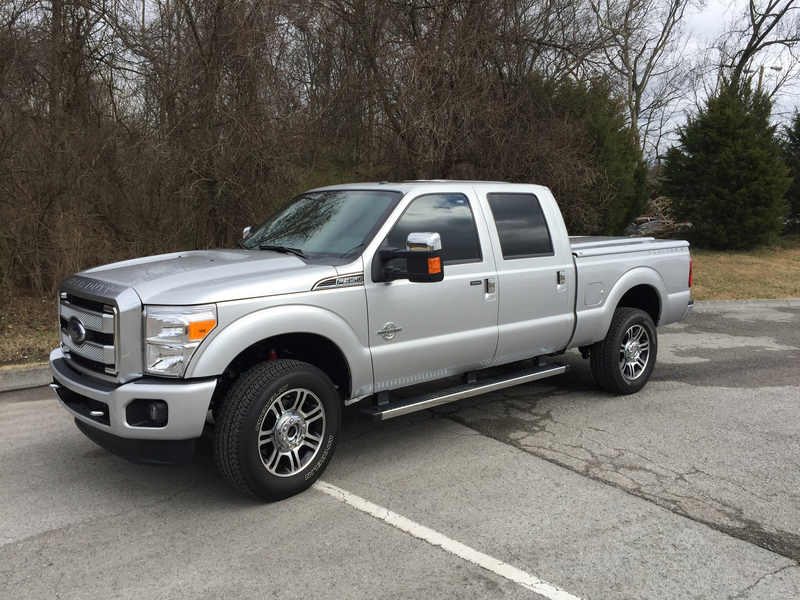 When I ordered the new Ford F-350 Platinum to replace our 2013 Ford F-150 Platinum EcoBoost, there was no need for discussion on the bed cover. My new truck would have a Silver Ingot Metallic Tonneau Cover by UnderCover from Ford Accessories just like the one I had on the F-150. 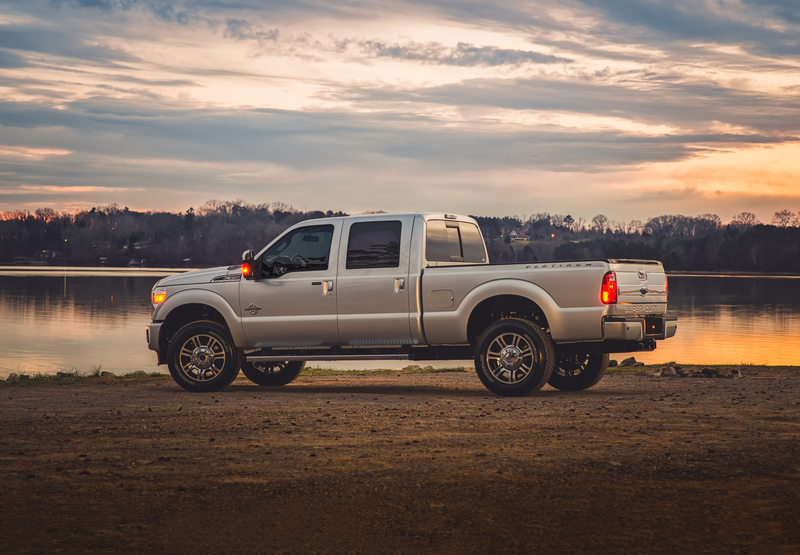 UnderCover bed covers from Ford Accessories allow owners to lock the cover and tailgate for trunk-like storage, look fantastic and do an excellent job of protecting the bed from the elements. Not a single drop of water found its way into the bed of the F-150 the entire time I owned the truck. The painted cover includes LED lights and a lock that uses the truck key. A separate key for the tonneau cover is not required. Sweet. 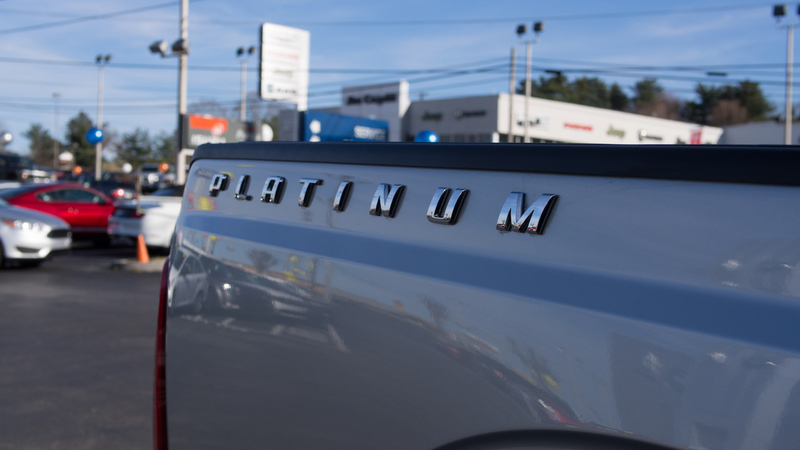 The Silver Ingot Metallic paint matches the F-350 Platinum perfectly. The design of the Hard Painted Tonneau Cover by UnderCover mimics the lines and contours of the hood and top of the truck to give it a factory look. 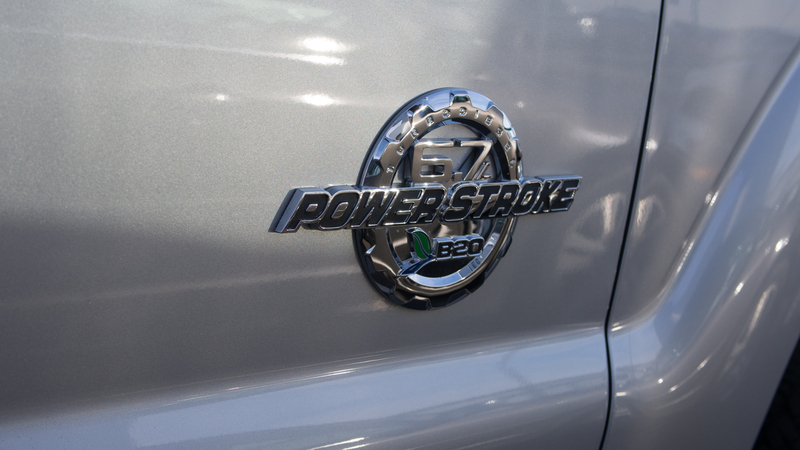 It also includes Ford logo's on both sides that further enhances the factory appearance. 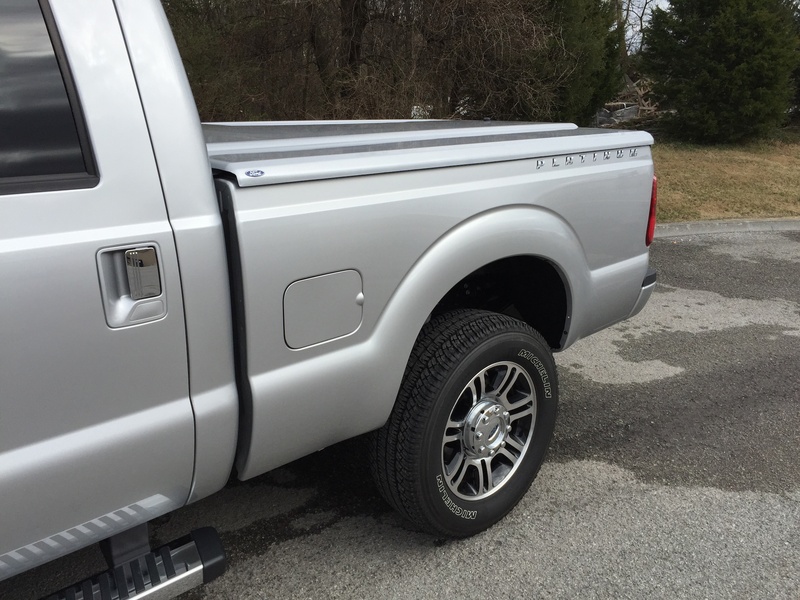 Overall, the new tonneau cover gives our already beautiful F-350 Platinum a more finished look and provides a large, dry and locked storage area while traveling with the Airstream. 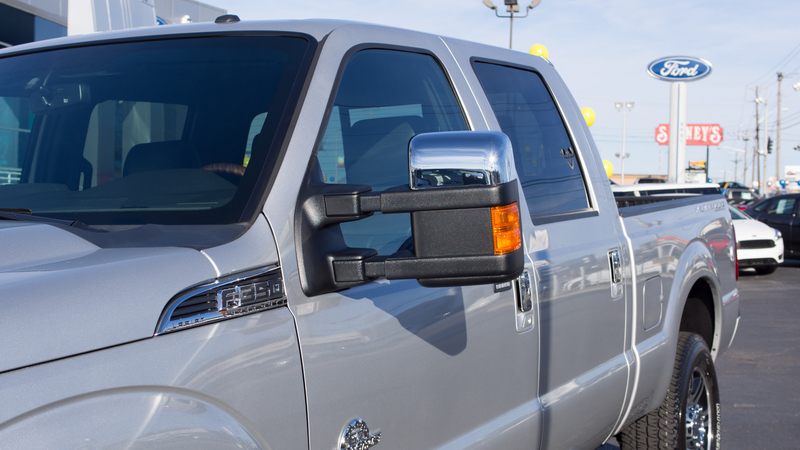 After passing the recommended 497 mile (800 km) break-in period, we hitched the Airstream to our new 2016 Ford F-350 Platinum for the first time. It was a moment we had been waiting to experience and it did not disappoint. 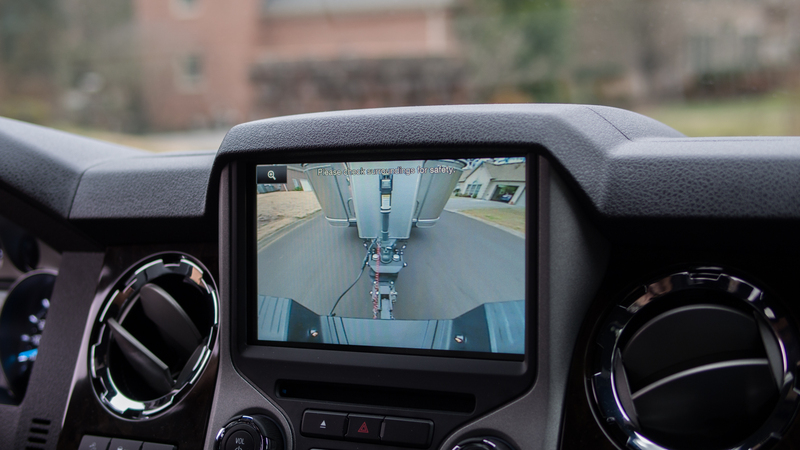 The Ford F-350 includes an extremely helpful trailer information display that allows you to customize the current trailer connected or the option to select other trailers that have been connected to the truck. 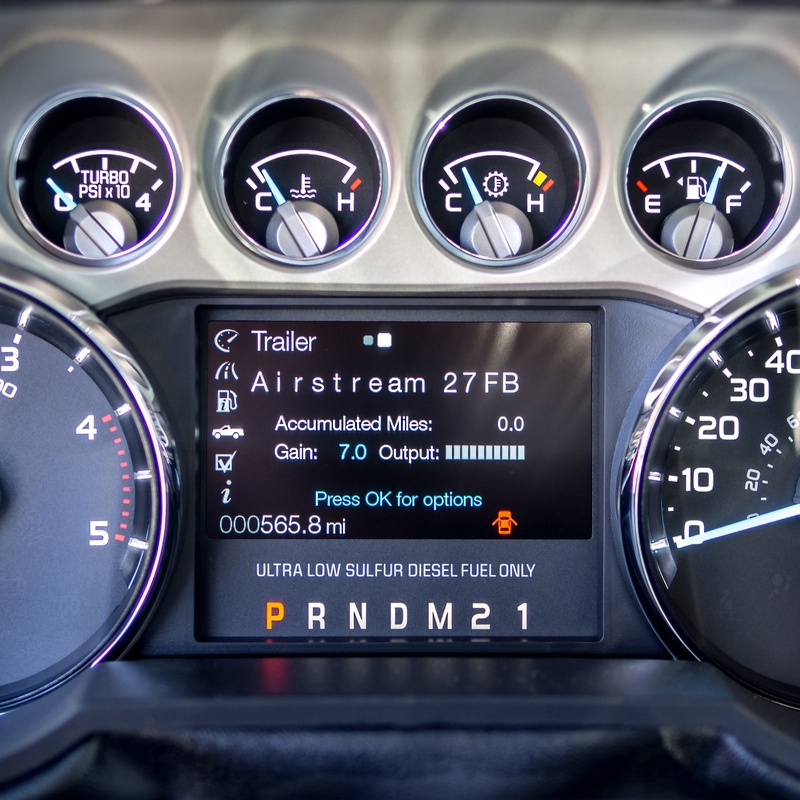 The display screen includes an option for customizing the name for the trailer, trailer brake control gain setting, brake output and Accumulated Miles on the current trailer. 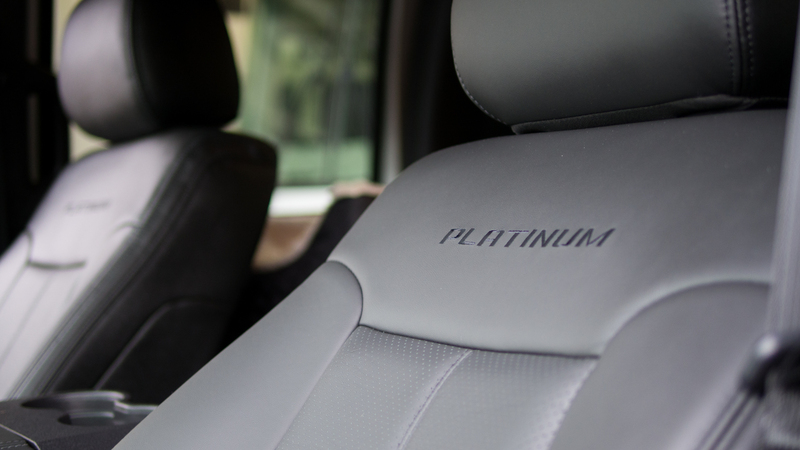 Our 2013 F-150 Platinum EcoBoost had a similar display that never missed a beat during our time with the Flying Cloud 25FB. Since picking up the new F-350 in early February, I've been waiting patiently for the total miles to reach the recommended 497 miles (800 km) before towing. It took a couple weeks of easy driving during the break-in period but we finally connected the first time at 565.8 miles. Now to find out how the Ford 6.7L Power Stroke Turbo Diesel performs while towing an Airstream International Signature 27FB. After holding the big Ford 6.7L back for 565.8 miles I'm guessing it will be good. Owning and driving a pickup truck without tinted windows is just not acceptable. 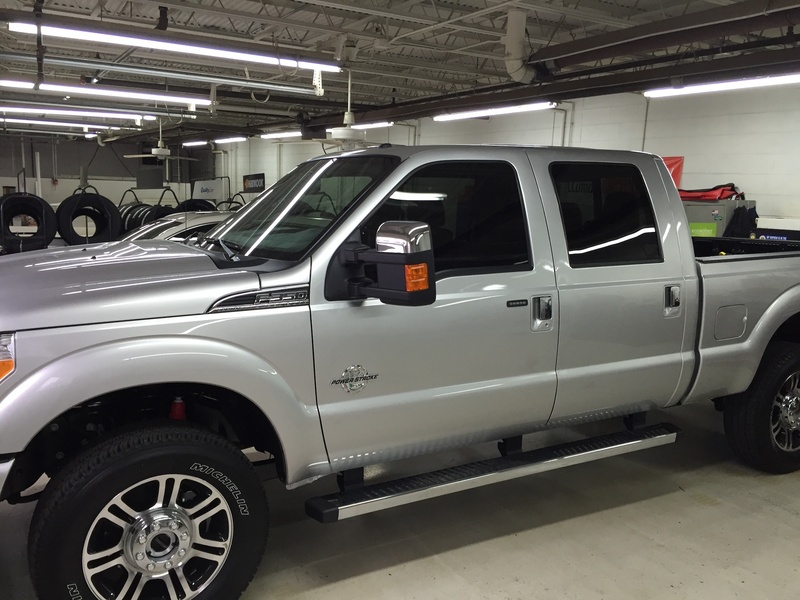 Our new 2016 Ford F-350 Platinum was back at the dealer the week after delivery for window tint on the front driver and passenger windows and a set of Ford Super Duty rubber floor mats to keep the interior looking like new. 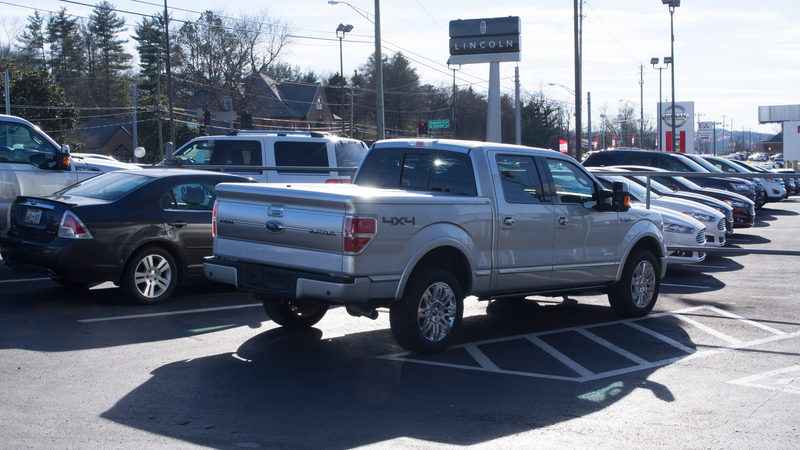 The friendly folks in the Accessories shop at our local Ford dealer did an excellent job applying the Tennessee approved 35% window tint to the front driver and passenger side windows. 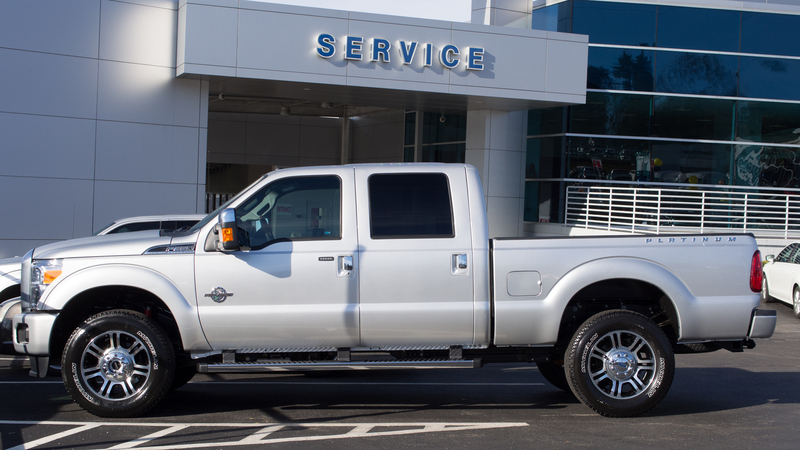 The tint color was selected by Ford to match the factory tint and makes our already beautiful Super Duty look even better. It's a Silver Ingot Metallic and black beast of a truck. Two thumbs up! Front mats (featuring Super Duty logo) available for Regular Cab; 3-piece kit available for Super Cab and Crew Cab. The all-weather, heavy rubber mats makes it a simple task to keep the crew cabin looking like new. 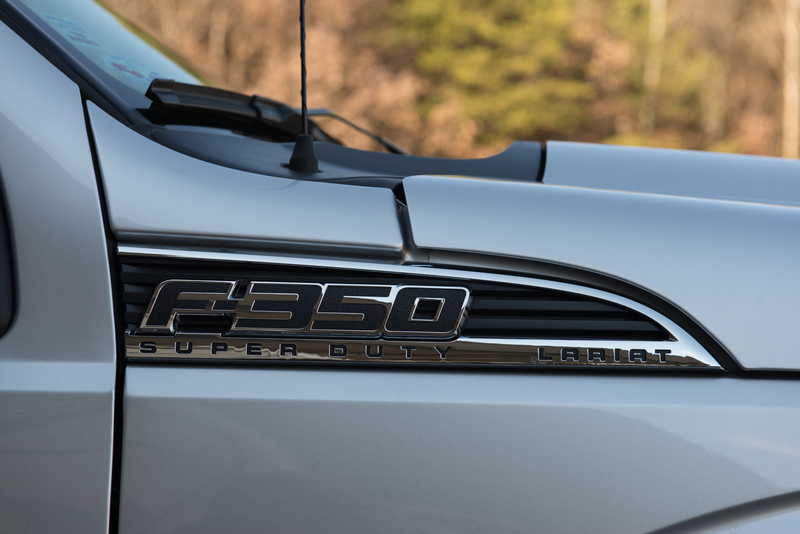 They fit perfectly and include Super Duty lettering to give it a finished, factory look. 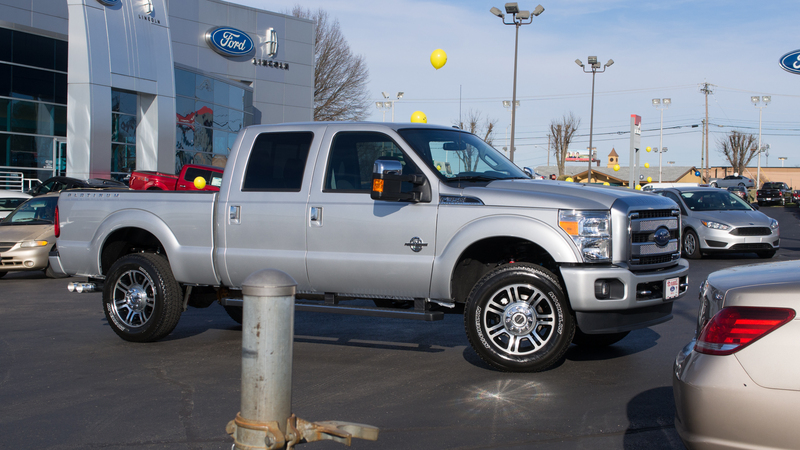 The new window tint and heavy duty rubber floor mats were a great addition to our F-350. Next up is the Ford Painted Tonneau Cover by Undercover. Watch for a follow-up post soon. 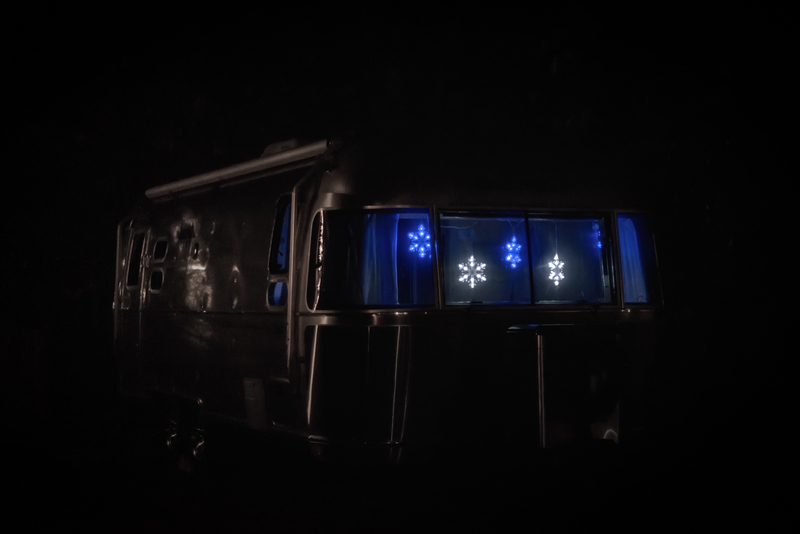 Merry Christmas and Happy New Year to our Airstream friends and family. May your holiday be blessed with peace, love and joy. We look forward to continuing our journey with you in the new year.